As the Third Christian Millennium dawns, the Caribbean is at kairos: the nexus of opportunity and risk. In light of the Christocentric fulness theme of Ephesians 4:9 - 24, perspectives and counsel will be offered to support reformation, transformation and blessing towards a truly sustainable future under God. In addition, among many other intemperate remarks, he wrote about alleged “dangerous dogma promulgated by the Church and its many brainwashed surrogates,” “perverse propaganda spread by Christian churches,” “sycophants” and the like. The Christian gospel and the church are clearly under increasing and deeply hostile attack across our region, and in some influential quarters our message and leadership are seen as so discredited that they see little or no reason to hesitate before publishing accusations that the church is an out and out fraud, pretending to know about God despite obvious ignorance and/or seeking to exploit the gullible financially through fear mongering in order to extort tithes. This has to be replied to, at minimum for record. Likewise, we have to take time to show why it is important to correct such errors, because of the harm they do to our civilisation. However, for some years now various voices have tried to dismissively question God, the gospel and Christians. So, it is not unexpected to see Mr Gordon Robinson writing in the Gleaner1 recently (on Sunday August 26th), about alleged “dangerous dogma promulgated by the Church and its many brainwashed surrogates,” “perverse propaganda spread by Christian churches,” “sycophants” and the like. In fact, a simple Internet search might give a better answer. For, thinkers such as a Thomas Aquinas or an Augustine of Hippo or a Paul of Tarsus or even a Wayne Grudem or a William Lane Craig have long since credibly addressed the idea of God and systematic theology at a little more sophisticated level than Sunday School lessons or Internet Atheist web sites. In so doing, they have made responsible cases that rise above the level of caricatures of the art on the Sistine Chapel’s ceiling. Yes, alphanumeric code (so, language! ), algorithms (so, purpose! ), i.e. intelligent design of life from the first living cell on. Including, us. No wonder the dean of the so-called New Atheists was forced to admit that Biology studies complicated things that give a strong appearance of design. 1947 saw the advent of the transistor age, allowing storage of a single bit of information in a tiny electronic wonder. We have since advanced to computers based on silicon chips comparable in size to a thumb-nail, with millions of transistors. These microchips and support machinery process many millions of instructions per second and have storage capacities of many gigabytes. Coded electronic communication signals routinely go across millions of miles through the solar system. Every one of these devices and systems required careful design by highly educated engineers, scientists and programmers. The living, self-replicating cell’s sophistication dwarfs all of these; yet we question the all-knowing God, the author of life. Next, Mr Robinson and others inevitably appeal to our known duty to truth, right reasoning, fairness, prudent judgement, etc. But, where did that inner moral law (testified to by our consciences) come from? Surely, it is not a delusion; or else responsible, freely rational discussion would collapse into nihilistic chaos: might and manipulation (= “power and propaganda”) make ‘right,’ ‘rights,’ ‘justice,’ ‘truth,’ ‘knowledge’ etc. Instead, our conscience-guarded hearts and minds clearly show the Creator’s design that we freely live by the light and law of truth and right. Such considerations – and many more – point us to the only serious candidate for the source of reality that can bridge IS and OUGHT: the inherently good (and wise) Creator God, a necessary and maximally great being. Who, is fully worthy of our loyalty and of humble, responsible, reasonable service through doing the good. Then, we may readily draw out the classic understanding of God described in scripture and studied in systematic theology: all-good, eternal, creator and Lord with sound knowledge and full capability to work out his good purposes in the right way at the right time. Moreover, what we most of all need to know about God is taught by Jesus the Christ, recorded in scripture within eye-witness lifetime then accurately handed down to us for 2000 years now, at fearsome cost: the blood of the martyrs. Martyrs, who had but one incentive: that they directly knew and must peacefully stand by the eternal truth – cost what it will. They refused to be frightened by dungeon, fire or sword, much less mere rhetoric. Why would thousands die horribly to promote a known lie? In short, there is every good reason to acknowledge or at least respect the credibility of the gospel and associated theology. Difference of responsible views is not educational and/or financial fraud, propaganda or brainwashing, etc. Mr Robinson et al need to acknowledge this and in all decency must retract their unjustified accusations. From time to time, we hear various voices in our media suggesting that the church is a main culprit behind Jamaica’s backwardness. For instance,1 we saw how Mr Gordon Robinson recently implied outright educational fraud by Jamaica’s church leaders: “Either the Church has NO CLUE about who/what God really is, or it deliberately misrepresents God's essence in order to frighten people into becoming church members and tithing. Nothing else makes sense.” He also spoke of alleged “perverse propaganda spread by Christian churches,” “brainwash[ing]” and the like. Clearly, he and others of like ilk believe that the churches are largely responsible for spreading ignorance, indoctrination, mis-education, fear- and- hate- mongering (the major function of “propaganda”), incivility and the like. Now, given the historical and ongoing sterling contribution of Jamaica’s Christian churches to education, schools and more, such a notion should instantly be utterly implausible. 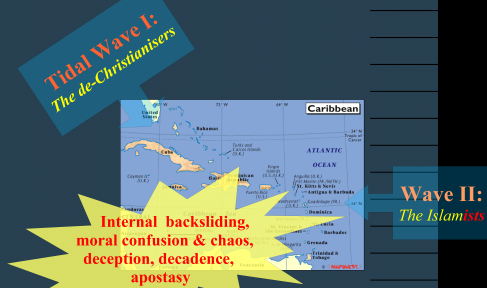 Now, too, there are indeed far too many Christian voices in Jamaica and across the wider Caribbean and world who exhibit ignorance, want of sound education, poor reasoning and worse. But also, such backwardness is patently true across the board. So – especially in a nation where there is proverbially a church next door to a bar on every street corner – in strict logic, the problem cannot primarily be due to the churches. We must look deeper for the root. The logical place to find that root is in our formal and informal ethical and general education systems, especially as we have had universal access to taxpayer-funded public education for generations now. Similarly, we have had a mass media culture ever since cheap transistor radios, then television and now Internet and smart phone technology pervaded our society. Traditionally, major newspapers are the people’s colleges, building a national base of general knowledge and awareness of events and issues; indeed, creating the public in the modern sense. Today’s social media landscape extends that culture by turning everyman into his own publisher, journalist and pundit. Sadly, just to list these facts is enough to indict us all: we have met the enemy and he is us. For one, we need to rebuild the habit of serious reading – yes, reading not just viewing or listening – leading to informed discussion that rises above pooling ignorance and attack- the- source rhetorical tactics. No wonder, the Apostle Paul (the principal figure in the Christian synthesis of the legacy from Jerusalem, Athens and Rome) adds: “when Gentiles, who do not have the law [of Moses], by nature do what the law requires, they . . . show that the work of the law is written on their hearts, while their conscience also bears witness, and their conflicting thoughts accuse or even excuse them.” [Romans 2:14 - 15 (57 AD).] Thus, we find a body of known law written on our hearts; tracing to our Creator, who is Logos, Reason himself. These two articles then lead to a third issue, how do we address the gospel's discipling mandate in terms of its implied challenge of godly national transformation? Not only for Jamaica, but for the Caribbean, our civilisation and the whole world? As we have already noted,1 Mr Gordon Robinson recently wrote off the church as a damaging centre of “brainwash[ing],” “propaganda,” “dangerous dogma” and the like. Plainly, some view the church as an obstacle to the sound governance and progress of Jamaica. So, let us now address the church’s involvement in good governance and in positive national transformation. A good place to begin such is with Plato’s Parable of the Ship of State, which is so deeply entrenched in our thought-world that the English Language word “government” comes from the Greek one for the steersman of a ship: kubernetes. Regrettably, this parable is tellingly relevant to Jamaica’s long-standing governance challenges. For, the idea is that the owner-merchant captain of a ship (= the people of Athens c. 430 - 400 BC) was blind and could not navigate or steer the ship. Members of the crew (= political leaders and pundits who got that city into the ruinous Peloponnesian war) then tried to befuddle him, and clamoured to gain control of the helm through having popular support; even though they plainly lacked character and competence. Meanwhile, away in a corner was a disdained, “useless” stargazer – the skilled navigator. The fate of such a “ship” was sadly predictable; a grim warning on how democracies can fail. In Paul’s day, this parable would have been part of the mental furniture of any educated person of the Roman Empire. So, in Acts 27, we can readily see that Luke viewed Paul’s shipwreck on his journey to Rome c. 59 AD as a real-world case study on the ship of state in action, illustrating how a Christian leader can act as a model citizen by being “a good man or woman in a storm.” Thus, Acts 27 opens up the issue of the church’s call to nurture, equip and support people capable of effectively participating as stakeholders and of giving soundly prophetic, prudent intellectual, ethical and cultural leadership in society; contributing to good governance and positive transformation. The owner was worried about his ship and his money, the kubernetes knew exactly who buttered his bread and the people aboard were very open to a suggestion that a quick afternoon’s sail down the coast to a nicer port was not overly risky. So, Paul’s prudent concerns were brushed aside. Then, when a convenient South wind blew they set off in high spirits. But, half-way to Phoenix, they were caught in a hurricane-force nor’easter; which instantly strained and seriously damaged the ship. (So, they had to frap the vessel.) They were also being driven towards deadly sandbars off the North African coast. 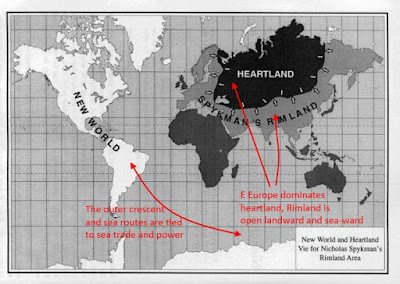 (That’s why they used a sea anchor to shift the drift-direction to North of West.) Soon, they were lost as neither sun nor stars were seen for almost two weeks. Hope was given up, until Paul gave a prophetic message in answer to prayer: shipwreck but only loss of the ship, not lives. Then, as they approached strange land by night — through a ruse — the same crew that got everyone into trouble tried to abandon the passengers. This was spotted by Paul, and the Centurion Julius — who (at great cost) now knew whose counsel could be trusted — blocked further stunts by cutting away the ship’s boat. Then, the soldiers wanted to kill the prisoners to prevent their escape. Wishing to spare Paul, Julius refused. Thus, all 276 souls made their way ashore at what is now St Paul’s Bay, Malta. Now, “business as usual” [BAU] reflects the balance of power across factions in a community. So, even when there are strong signs of danger, powerful interests will back “steady as she goes.” Especially, if there’s “a sweet South wind.” So, an ill-advised ideological agenda may prevail, leading to a ruinous voyage of folly. In turn, key centres of influence in a community support and are dominated by the BAU “roof”: family systems, religion or religion-substitutes, education systems, media, government, the arts and culture, business (with linked finance and sci-tech capabilities). So, to challenge BAU a critical mass of stakeholders has to come together, providing a capable platform that uses SWOT analysis to question the ill-advised agenda, gradually building support for a sounder alternative (ALT). Of course, it is hard to build up support for change while everyone wants to “let the good times roll,” but “what sweet nanny goat mout’ run ‘im belly.” Where, by the time a major crisis is undeniably obvious to one and all, the ruinous storm has already struck. In that case, being the “navigator” who forewarned can shift the balance of credibility, but it also sets one up as a target for hostile power brokers. Thus again, the need for secure, independent platforms. Clearly, the time for keeping a dignified silence is over. A response to "Jesus was a myth" sensationalist claims. Open the floodgates of heaven, and let it rain! A Caribbean-based applied scientist, educator and strategic change/ transformation advocate and facilitator; speaking out for record and calling to reformation in light of the patently destructive policy/ geostrategic/ propaganda/ spiritual/ moral- cultural and economic agenda tidal waves pounding on our shores with ever-mounting force. In response to which, we must learn the lesson of Ps 32:9: "Be not like a horse or a mule, without understanding, which must be curbed with bit and bridle . . . "
There, we are all journalists now . . .
How could a cybercampus-based, microcampus delivered education programme pay its way? Video and multimedia "on the cheap"
Paul's online math notes for algebra, calculus and diff eqns etc. The gospel as an historical fact-anchored, life- and community- transforming game changer "of first importance"
"Watch, that no-one deceives you . . . "
What about the many horrific sins and crimes of Christendom? Could Hitler be in heaven? What about the 1 million innocent child victims of the holocaust? Video-making 101 for the rest of us . . . Responding to media packaging of political "messiahs"
But, don't my genes make me do it? How dare you deny people their right to marriage equality! Are Christian "fundamentalists" objecting to homosexualisation of marriage motivated by hate and bigotry? The trend to delegitimise Christianity and conscience under false colour of "rights"
Responding to the distortion of marriage as a foundational social institution, again under false colours of "rights"